The day was a long one; following some delays on the way home I got home around 10pm and took the best part of the weekend to recover (I’m not as young as I was, etc etc!). Lots of time then, to reflect on the day and the event as a whole. Being an Employee So-Me Ambassador is a lot of fun. Go Further was definitely work, but I’ve worked in much less salubrious surroundings. Having an eye not only on what you are seeing, and want to see, but what others might want you to share with them, is a skill I’m still developing – you’ll have to let me know if I’ve got the balance right! Over 80 of us travelled to the event from the UK, and competition for the opportunity to attend had been fierce in a number of teams, I heard! Q: What did you think of the event? Q: What surprised you, if anything? Q: What element did you enjoy or value most? Many of my colleagues echoed my own thoughts – one of the most interesting ‘connectivity’ advantages showcased today was in the connections we made as a group – it can be easy to work in silos at times, to just get your head down day-to-day and work through what you are doing. Events like this give you the unparalleled opportunity to look up, break out, and listen to others’ perspectives. When you are pulling together as a company to deliver the kinds of change and innovation our customers demand, like the vehicles and solutions showcased in Amsterdam this week, that kind of connection is priceless. Our family loves a cat. Not just the four-legged ones – of which I have three – but the Ford Puma holds a special place in our hearts as it was the car my now-husband drove, and loved, when we first met. Categories: #GoFurther | Tags: #new, Crossover, Design, Lasers, Pounce, Puma, Smoke, Sneak Peek | Permalink. One of the biggest stories of the Go Further event this year has been the unveiling of our electrification strategy and electrified products. It’s no news that I’m hardly a petrolhead, or even a ‘battery head’ as Chairman Steven Armstrong mentioned in his address to the employee group today, but I really appreciated the opportunity to learn more about what we are offering, and why – and I was really impressed that our strategy seems to have a focus on what real customers want from electrified vehicles in the future. I’ve recently changed my work journey and so my mileage is becoming much less – and actually electrified options are becoming more attractive to me for those and environmental reasons. The Company’s partnerships in charging infrastructure such as Ionity helps – moving to a new power train will be partly about building our confidence in terms of performance after all. So today we journeyed through electrification, and connectivity and mobility solutions (enabled by electrification). We had a chance to feel and explore prototypes of our products that will be creating a real buzz when they hit the markets – and not just because of electrification! There’s a real design push, it seems, to create stirring visual lines and impressions that break away from what you might think an electric vehicle might sport. Check out the prototypes below. What do you think? Do these look like what you would imagine electric vehicles would? Categories: #GoFurther | Tags: @ford, Design, Electrification, Explorer, Go Electric, Not A Milk Float, Transit | Permalink. Events like this put you in an incomparable position to find out more about future models and our line up. Despite being very utilitarian these days in terms of my personal approach to my car (three kids; could someone invent a soundproof bulkhead PLEASE), there’s still something thrilling in seeing something tangible out in the world, that in some small way you might be able to see your influence in. What I do in HR may be pretty remote indeed from the final finished product but that only makes it more exciting for me to take time to connect to the products that quite literally drive the people around me, our shared successes and our shared future. So for a while I sat back, listened, and drank in the details as the senior team joined us to share their own excitement at what’s coming. Categories: #GoFurther | Tags: #new, @ford, Connectivity, Details, Electrification, Go Electric, Hybrid | Permalink. Heading to Sugar City you can’t fail to be struck by bold lines and bolder colour – GT, Mustang, Focus and Ranger represent! Categories: #GoFurther | Tags: @ford, colour, Impact, Sugar City | Permalink. One of the really wonderful things (for me) about events like #GoFurther is the chance to spend time with colleagues from all over Europe. I’m lucky that after 13 years with the Company in a variety of roles I have got to know so many people – and certainly I’ve been catching up with many already this morning! But also events like these hold the joy of meeting new colleagues, like Bal from our Transport Ops team who was kind enough to point out the Dagenham estate as we flew over it this morning (and who gave up his window seat also – thanks Bal!). Bal is an RS fan so I wonder what he will think of what we see today..? Our start this morning was really early – leaving Dunton just a little after 5am – and in typical fashion getting up early meant a rotten night’s sleep for me. Categories: #GoFurther | Tags: @ford, coffee, Connectivity, Dagenham, friends, KLM, Scrabble, tired | Permalink. It may have been a while since Valladolid, and boy has the world changed since then! We’ve moved a long way since 2017 on our journey to realize our winning aspiration of becoming the world’s most trusted mobility company designing smart vehicles for a smart world, and we’ve welcomed new models, new features… so it’s no surprise that I’m really excited to be joining the So-Me Employee Ambassador team once more, representing employees exploring our latest showcase, GoFurther IV in Amsterdam! 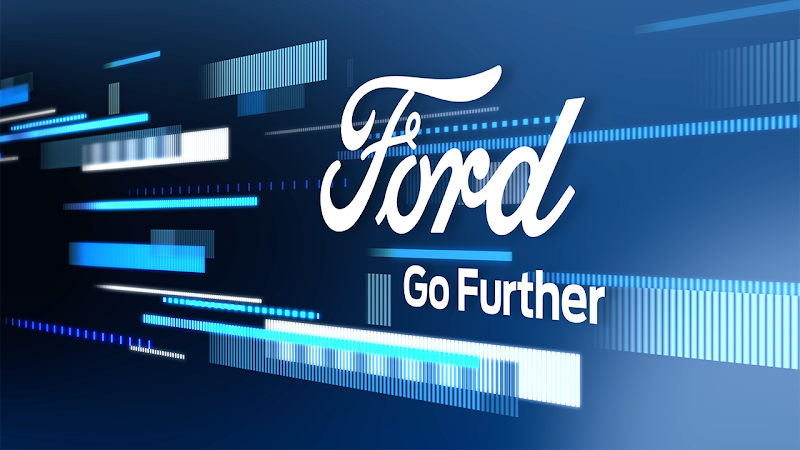 Following the media launch earlier this week that you can’t fail to have noticed, I’ll be taking an employee’s-eye-view of exactly what we are offering, and offering my insights as to how our plans to #GoFurther resonate with me… stay tuned! Categories: #GoFurther | Tags: #Amsterdam, #new, NathanPyle, StarDamage, StrangePlanet | Permalink. I work at Ford, but all views and opinions (and overuse of punctuation) are my own and not the opinions or views of Ford Motor Company.